Ironing boards are highly useful in modern times. It makes the process of cloth ironing way lot easier and swifter. Ironing boards can be found mainly of three types- portable ironing board, wall-fixed ironing board, and the native or tabletop ironing board. 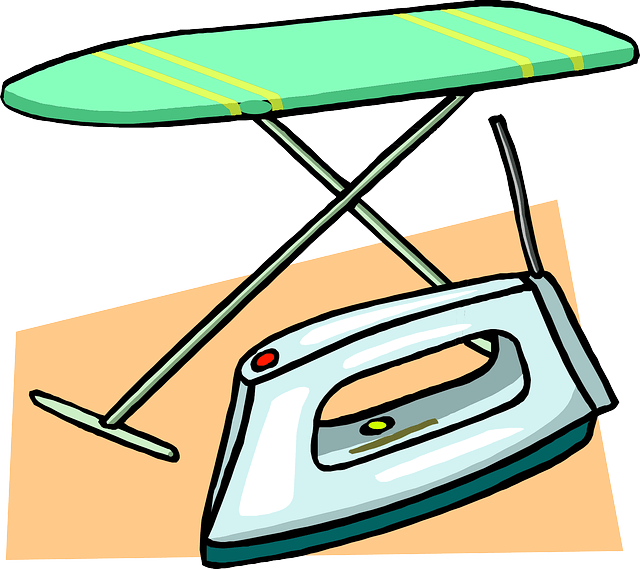 Each of the above three ironing boards has their advantages. To select the most suitable ironing board, one should first keep certain things like the frequency of usage, the available space inside the room, budget, etc. in to account. Portable ironing boards are the most common forms of boards in modern times. Most of the contemporary families prefer having these boards at their home. There are many reasons behind their growing popularity. First of all, these are user-friendly that can be set in no time. It’s easy as well to shift this equipment from one place to the other. It’s the structure of the portable ironing board that makes it so much convenient. To be specific, the flexible legs of these boards, those can be folded is one of the biggest advantages of using these. If you are someone who has to change your place in regular interval, this product would be a fantastic recommendation. It allows the user to simply fold the entire product and keep in a safer place when not in use. When feeling the need of its usage, simply take to your desired place, set it up, and use as per your convenient. In short, one doesn’t need to fix a place for ironing purpose time and again. Height adjustment is another big advantage of the portable ironing boards. Some people prefer ironing while sting, and there are others who prefer doing it standing. A portable ironing board can be suitable for a person; no matter he/she prefers ironing while sitting or while standing. This is so as the height of the board can be adjusted pretty easily. This makes it a preferred option for people of smaller height. Portable ironing boards are useful for the bachelors staying away from home in different cities, or for people who live in small houses with limited space for ironing purpose. However, if you have enough space at home, you can widen the stretchable legs of the ironing boards for more comfortable pressing of clothes. The only disadvantage of these ranges of products is their comparatively fragile nature. It is thus advised that the users should use these with caution, ensuring no misuse. Specifically, it is recommended to keep these products away from the children at home. Tabletop ironing boards are equally popular as of the portable ironing boards. The prime difference between these boards and the portable boards is its shorter legs. Ironing boards of such are primarily meant to be placed over a table. It is equally good as of the portable boards regarding being carried to a different place. Those are having confined space within their room can also find it effective. However, if you have plans to keep larger things or larger amounts of clothes on it, this may not be the right product for you. At the same time, due to their comparatively smaller size, these ironing boards are not often the most comfortable ironing board options for pressing the specific sections of the clothes, like the sleeves, pockets, or collars. These types of ironing boards as suggested by their name can be fixed on the wall. It can also be kept folded when not in use. Some users of this type of boards have significantly grown due to the limited living space available in modern times. There is indeed no better ironing board that can save space for you as these wall fixed boards can. It can be the most suitable option for modern day apartments. In fact, one can fix these iron boards within a closet as well. However, it has been found that people have started using these ironing boards in larger rooms as well. This is so as they often don’t have to use extra-large electrical cords or plug point extensions. Simply take it to the wall with electric point and do the pressing. Above all, those having children at home can find these wall-fixed ironing boards useful. It won’t be wrong to claim as well that these boards are designed specifically for the greater safety of children. All that one needs to do is to fix the board at a height beyond the reach of children. Wall-fixed ironing boards are quite user-friendly as well. It can be used by anyone without any special effort. In fact, it takes only a few seconds to fix it on the wall and also folding it is a matter of few seconds only. Naturally, the modern day families living a ruthless busy lifestyle can find it useful. Portable ironing boards can be carried from one place to other as well. But, the wall-fixed ironing boards are preferred as here the chances of legs getting broken is pretty less. These are however are known for their stronger body frame. If your room has smaller passage, and you are worried about the chances of ironing board legs getting collapsed, going with wall-fixed ironing board would be a nice recommendation. There is no such threat with these boards as it can be easily entered inside the room at a certain angle. Due to their stretchable legs, one doesn’t need to worry about collapse while folding or to angle. Wall-fixed ironing boards are the best options from an installation point of views as well. Their explicit design makes these products convenient for easy installation. No need to call any specialist or technician; these ironing boards can be installed and removed by any common man as per the necessity. Ultimately, wall-fixed ironing boards provide best user satisfaction, assure about highest endurance, at the same saving lots of time. In short, it can give you the full value of your money. Click here to read complete ironing boards buying guide.